Offering a combination of a sophisticated, elegant design and outstanding playability, the G-5000 Wenge is a top-of-the-line football table from Garlando. An extremely tough structure is ensured by 30mm multi-layer plywood with plastic laminate coating, whereas 40mm slanting legs made from finely lacquered beech-wood provide greater stability on the ground. 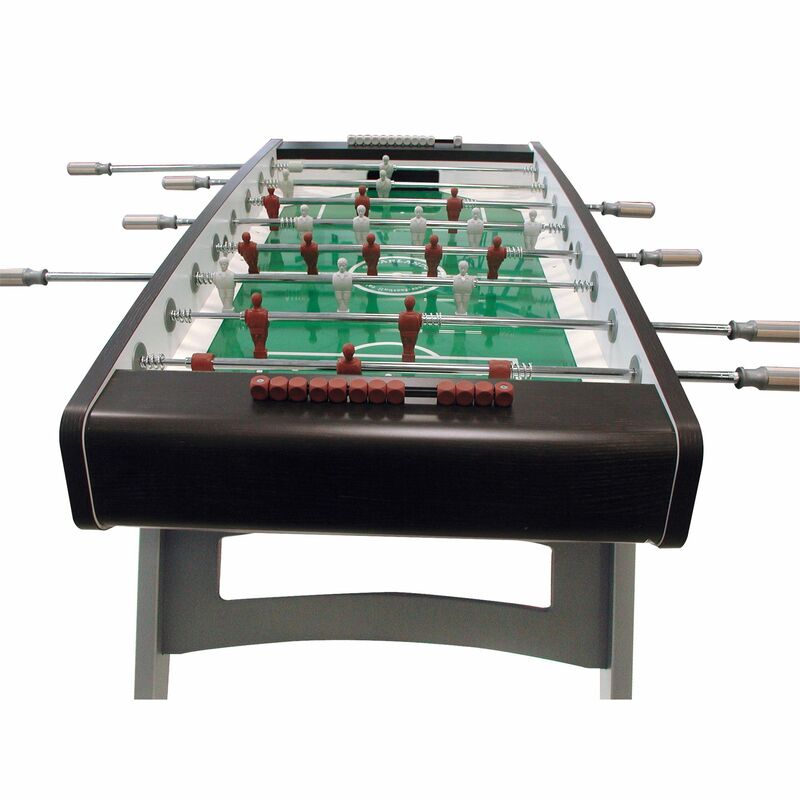 The table has 16mm steel telescopic rods with anti-rust chromium plating for solid durability and there are steel roller bearings to improve game speed. For a perfectly flat playing surface, the G-5000 features leg levellers and the brown and grey players, as well as wood-inlaid plastic handles deliver extra touch of style. A non-reflective sanded-glass playfield guarantees increased ball control and the goalkeepers are fully rotating for easy scoring. Plus, the table comes with 10 standard white balls. for submitting product information about Garlando G-5000 Wenge Football Table We aim to answer all questions within 2-3 days. 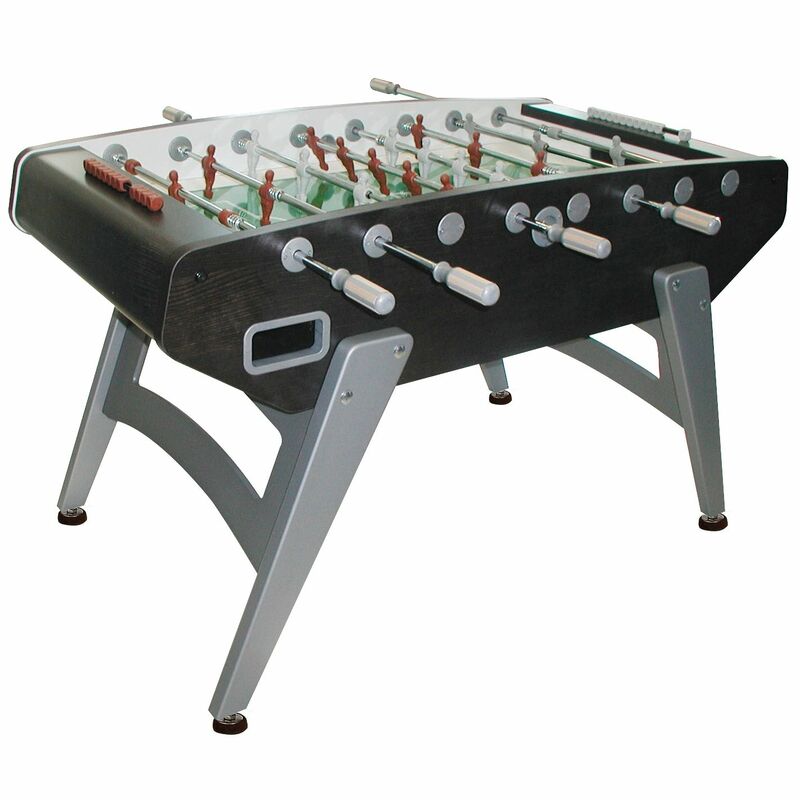 for submitting product information about Garlando G-5000 Wenge Football Table. We aim to answer all questions within 2-3 days. If you provided your name and email address, we will email you as soon as the answer is published. 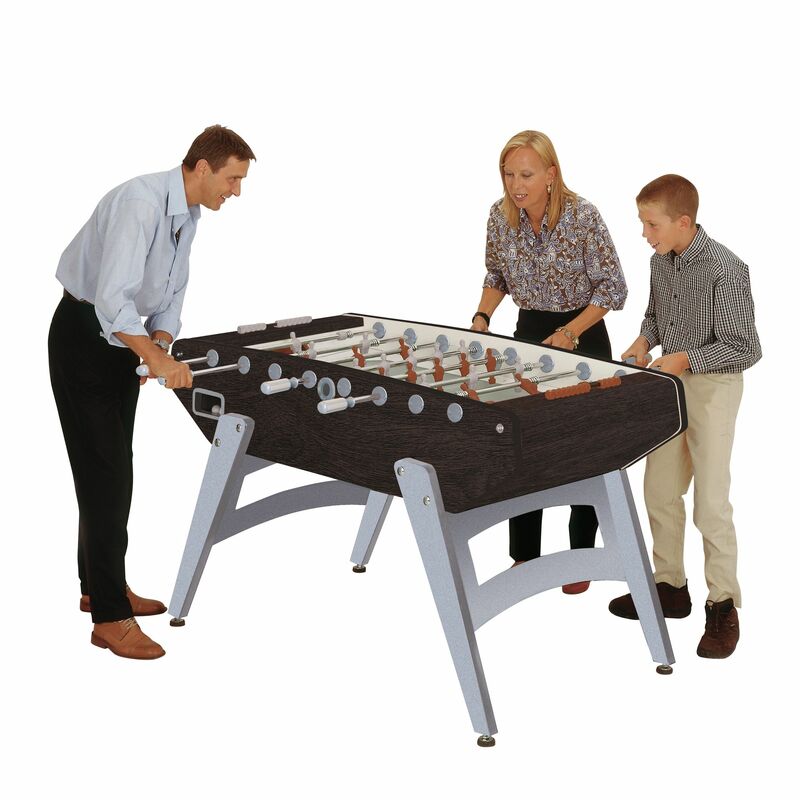 for submitting product review about Garlando G-5000 Wenge Football Table.